Alvarado and Garcia have campaigned at breakneck speeds after Perry officially announced Saturday’s election date on Dec. 13. The ensuing weeks have seen several candidate forums and fundraisers. The most recent campaign finance filing period ended Jan. 18, with Garcia reporting about $164,000 raised since Jan. 1, expenditures of $300,000 and about $228,400 remaining in her war chest. A pre-election telegram report, which is filed to report contributions received after the date of the last report, shows Garcia raised an additional $14,500. Alvarado raised about $185,000 during the same time period, spent about $315,000 and has about $110,000 left on hand. She also raised about $20,000 after the filing date, according to her telegram reports on file with the Texas Ethics Commission. The Houston Chronicle reported Wednesday that plaintiff’s attorney and Democratic donor Steve Mostyn provided a bulk of Garcia’s support. Mostyn has donated more than $200,000 to Garcia throughout the course of the campaign, including about $187,000 in in-kind contributions from Mostyn’s Texas Organizing Project PAC. The publication also noted that Alvarado received $22,000 from the Houston Police Officers Union and a $15,000 donation from HillCo lobbyists in Austin. Garcia also hit Alvarado after the representative touted an endorsement from Stand for Children, an education advocacy group that Garcia said supports school vouchers. “Sylvia Garcia strongly believes in fully funding our public schools, not using those dollars to help wealthy private schools take money away from our children,” Guerra said in a statement. Hitting back, Alvarado said she has always supported public education and is on the side of educators and school districts. “This paper begins with an overview of existing choice programs and a discussion of the current evidence available on these policies and their impact on student outcomes and equity,” the researchers write. Calls to Stand for Children seeking clarification on where the group stands on the issue of vouchers were not immediately returned. “School choice” means different things to different people, but I have zero doubt that Alvarado would oppose vouchers. There’s nothing in her record or her rhetoric to suggest otherwise. It would be nice to get some clarity from Stand For Children on this, but this will not keep me awake at night. Alvarado said she was focusing on the issues the district’s voters care about: education, the economy and jobs, health care. Whatever you think about the race so far, any real nastiness will come out in the runoff. That’s just how the world works. [Dorothy] Olmos, who ran an unsuccessful campaign for the State Board of Education in 2010, said she is working her ground game, as well. “We’re knocking on doors and beating the bushes,” she said. Olmos, a former teacher and hair salon operator, noted that she received 80,000 votes in the general election for the State Board of Education, 35,000 from Senate District 6. Dream big, Dorothy. RW Bray got 38,201 votes in SD06 in November, and that’s about twice as many votes as will be cast in total for this race. As a point of comparison, Lawrence Allen, the incumbent Democrat in SBOE 4 that Olmos opposed in 2012, got over 77,000 votes in SD06. And just to fully beat this into submission, by my count there were 27,556 straight ticket Republican votes cast in SD06. This means that nearly 80% of Dorothy Olmos’ vote total in SD06 came from straight ticket voters, of which there will be none today, and that just under 7,500 people made the deliberate and conscious choice of voting for Dorothy Olmos last November. Of course, if she were to match that vote total in this election, she’d be a near lock for the runoff, but I feel pretty confident saying that ain’t gonna happen. I’ll have a brief post about who does make the runoff tonight and a fuller one tomorrow morning. Stace has more. UPDATE: It will be Sylvia versus Carol for the runoff. No surprises at all. Stace beat me to the punch in reporting on the January campaign finance reports for SD06, so I’ll have to one up him by being more obsessive thorough in bringing the numbers. So here we go. Notable contributions: Several of her current and former House colleagues, plus one former Senator, kicked in – Burt Solomons, Ellen Cohen, David Farabee, Kip Averitt, Diana Maldonado, Rep. Marisa Marquez, and Rep. Richard Raymond, to the tune of $10K; the others all contributed modest amounts. Other big numbers that caught my eye include $26K from HillCo PAC, $23K from HPOU PAC, $13,500 from HPFFA PAC, $10K each from Kamoru, Kase, and Mickey Lawal, $10K from Bob Perry, and $10K from Bill and Andrea White. As Stace noted, Alvarado received a lot of support from various police and firefighter groups – a firefighter PAC from Fort Worth chipped in another $2,500. Alvarado, who mentioned in her interview with me has filed legislation to expand gambling in Texas, also got $2,500 from the Chickasaw Nation and $1K from the Alabama-Coushatta Tribe of Texas. Finally, Alvarado has a direct connection to Planned Parenthood Gulf Coast through her sister Yolanda, and has a $145 contribution from PPGC CEO Melaney Linton to show for it. Notable contributions: Garcia also got support from current and past legislators – Ana Hernandez, Armando Walle, and Ellen Cohen, plus 2012 candidate Ann Johnson and 2010 candidate Silvia Mintz. She didn’t get any donations that I saw from a member of the Senate but did get one from Senate spouse Carlos Zaffirini. As noted by Stace, Garcia got the single biggest contribution of any candidate, $106K in kind from the Texas Organizing Project PAC for ground support. Steve Mostyn kicked in $12,680 in cash and in kind. Finally, Garcia got my two favorite contributions of this cycle. One was $100 from fellow candidate Susan Delgado. I can’t be certain this is the same Susan Delgado, but contributor Delgado listed the same ZIP code as candidate Delgado did on her July 2012 report, so you make the call. Finally, all the way from Hawaii where she lists her occupation as “retired”, former Houston Mayor Kathy Whitmire, now Kathy Whitmire Wehner, gave $200. How awesome is that? This is another illustration why I agree with those who do not see any chance for RW Bray to make the runoff. If this special election had been held last November, the pool of voters would be more than big enough to give Bray a legitimate shot at the top two. But how many of those people who did vote for him in November do you think even know there’s an election going on now? He doesn’t have the resources to let them know that he needs their support. Between that and the presence of habitual candidate Dorothy Olmos on the ballot, I just see no prospect for Bray to advance. Speaking of Olmos, her reported totals make no sense, but it’s not worth worrying about. For them and for the others, their reports speak for themselves. With six days down and six to go in early voting, 4,288 ballots have been cast, with in person votes just nosing ahead of absentee ballots. You can see the totals here. Yesterday was the first day of 7 AM to 7 PM voting, so I’d expect the daily totals to increase. I’d put the over/under at 10K early votes right now, but that could easily go up. Still, the low end of turnout projections is looking likely at this point. Ask me again in a week. PDiddie and TM Daily Post have more. Alvarado is the State Rep in HD145, in her third term. She served three terms as Houston City Council member in District I before that. Bray was the Republican nominee for SD06 in 2012, winning 29% of the vote. He was Chief of Staff for District A Council member Helena Brown before resigning in April. Susan Delgado – No website, Facebook page, or Twitter account, as far as I can tell. Delgado was once the mistress of the late Sen. Gallegos. She subsequently ran against him twice, as a write-in in 2004 and a Libertarian in 2008. Despite that, she lists her party affiliation as “Democratic” on her application. Garcia was County Commissioner in Harris County Precinct 2 for two terms, and before that she was Houston City Controller for three terms. Martinez is a first time candidate, who once worked on the staff of former Council member John Castillo. Here’s a NewsFix report on him. The webpage is for Olmos’ most recent candidacy, as a Republican for SBOE 4. She runs for a lot of things – HISD Board of Trustees in 2011, and HD 143 in 2004, 2005 (special election), 2006, and 2008. The Facebook page is her personal page – the Facebook link on her candidate page is broken; though there is a Twitter icon next to it, there is no link to a Twitter account. Reyes served one term on League City Council, from 1994-97. As noted by Stace and PDiddie, he did not fill in the party affiliation field on his application. Selva was the Green Party candidate for CD29 in 2012. As of Friday, there were no 30 day finance reports yet. We know that Garcia and Alvarado both had healthy amounts of cash as of July. Of the candidates that had to file reports for 2012, neither Bray nor Olmos reported any significant funds on their 8 day reports from October; I did not find any finance reports for Selva on the FEC webpage. The sheer number of candidates almost certainly guarantees a runoff, but I don’t believe it changes the dynamic from what we’ve all known it to be since the beginning, that this is a two-way race between Alvarado and Garcia. PDiddie thinks Bray has a shot at the runoff based on his showing in November, but I don’t buy it. Bray got the votes of the people in SD06 who showed up to vote for Mitt Romney or Ted Cruz and then stuck around to vote downballot, as well as the straight ticket R vote. Neither is in play in this race. The only people who will vote are those who a) know there’s an election and b) have a reason to vote for one of the candidates. Unless Bray, or any other candidate not named Alvarado or Garcia, can raise the money to reach people who will vote for him, or gets a boost from an outside party like the Harris County GOP, who is actually going to show up for him? I think he’s a step ahead of the rest of the pack due to his candidacy in the previous election, but as PDiddie correctly notes the R vote will likely be split between him and Olmos. I think it’s an Alvarado-Garcia runoff in March, and any other outcome will surprise me. So who’s in for the SD06 special election? Rodolfo M. Reyes was elected to the League City Council in 1994 and was the first Hispanic Mayor pro tem, and the second Hispanic to serve on the City Council. During his three year term, he worked with his council brethrens to realize the League City Sport Complex; revitalized the Economic Development Corporation; he challenged the City Planning Commission to streamline procedures for dealing with new developers coming into the city; and rolled-back the property tax rate. He was a member of the Board of Directors of the Harris County Educational Foundation; Member-at-large of the Amateur Athletic Association committee; Vice-President of the Community Housing Resources Board; Member of the Board of the Clear Lake Area Economic Development Foundation; and, worked with the Mentor Program at Bonner Elementary School. The other, via Stace, is Joaquin Martinez. Joaquin Martinez, father to Joaquin Edward Martinez, is a native Houstonian and has been a silent community leader in the East End. Joaquin has worked for one of Houston’s oldest and largest non-profits, Neighborhood Centers, for over 10 years within the Community Based Initiatives department. Joaquin’s continued perseverance and personal values have allowed him to continue his education at the University of Houston – Downtown as he pursues a B.A. in Political Science. Joaquin’s previous role as a Youth Manager has been to build youth programs in the East End, Sunnyside, Independence Heights, Pasadena and La Porte communities in order to build upon the skills of the youth in these communities.He also took on the role of Program Coordinator in the Pasadena and La Porte communities, where civic engagement and education were fundamental in creating a community environment. Joaquin has seen many youths become successful; he continually challenges parents to remain involved their children’s lives. He also worked as Staff under Council Member John Castillo, in which he visited several civic club meetings and was committed to assure that community member’s needs were met. I assume both have filed, but as yet I have no confirmation of this. Others who previously said they were running but had not filed as of Wednesday include RW Bray, whose campaign Facebook page was last updated on December 21, and Maria Selva, who has an under construction webpage that incorrectly lists the date of the special election as January 22. Oops. As for HCC Trustee Yolanda Navarro Flores, she doesn’t appear to have a Facebook page and I’ve seen nothing in my email or via Google. Now you know what I know. If you know more than this, please leave a comment. UPDATE: Via Stace and PDiddie, we now know there are eight candidates total in this race. What we don’t know is why there was no one at the Chron or the Trib that bothered to find this out, leaving it instead to a bunch of unpaid bloggers. Be that as it may, I’ll have a post with more information tomorrow. For all the delays in getting this called, the special election in SD06 is one month from today. The Trib takes a look. State Rep. Carol Alvarado, D-Houston, and Sylvia Garcia, a Democrat and former Harris County commissioner, are vying to replace state Sen. Mario Gallegos, D-Houston. Gallegos, the first Hispanic senator to represent Harris County, died Oct. 16 of complications associated with a 2007 liver transplant. Also in the race is R.W. Bray, a Republican who was defeated by Gallegos during the general election. Alvarado said her experience in the House should sway voters. “I can talk about specifics because I have had two sessions,” she said. 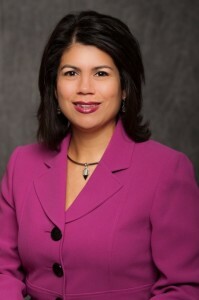 Garcia, the former president of the National Association of Latino Elected and Appointed Officials, also served as the comptroller for the city of Houston. 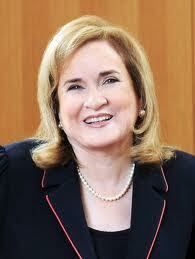 She said that if legislative experience were essential to serving in the Senate, it would be required. Alvarado, a two-term Texas House member and former member of the Houston city council, has the support of Gallegos’ family and of state House Black Caucus lawmakers, including Representatives Harold Dutton, Borris L. Miles and Senfronia Thompson. Senators Rodney Ellis, D-Houston, and Leticia Van de Putte, D-San Antonio, have also backed Alvarado. Garcia’s support comes from key Hispanic Democrats in the Houston delegation, including Rep. Jessica Farrar, the House Democratic Caucus leader, and Reps. Ana Hernandez Luna and Armando Walle. Note to story author Julian Aguilar and the Texas Trib editors: It’s Houston Controller, not comptroller. I don’t know what the difference is, either, but it’s there. The filing deadline for this race is tomorrow at 5 PM. While the story says that RW Bray is in, as he has previously said he would be, as of Monday morning he had not yet filed. According to the Garcia campaign, the only candidates who had filed as of then are Garcia, Alvarado, and perennial candidate Dorothy Olmos. Other potential candidates besides Bray whose names I have heard include HCC Trustee Yolanda Navarro Flores, who unsuccessfully challenged Sen. Gallegos in the 2004 primary; Maria Selva, the Green Party candidate in CD29 this year; an unnamed Libertarian; and Susan Delgado, Gallegos’ former mistress, who ran against him as a write-in in 2004 and a Libertarian in 2008. Wouldn’t that be special? As of this publication, the 30 day finance reports are not up, so we don’t know yet how the two main competitors are doing on that front. I was unaware that Alvarado had secured the endorsements listed above for her – Garcia got a big splash early on when Reps. Farrar, Hernandez Luna, and Walle endorsed her. Basically, this is a Democratic primary, with all of the usual drama and family feuding that entails. I have interviews with Garcia and Alvarado that will be published the week of January 7, which is when early voting begins. If this remains a three-candidate race we could get a clear winner on January 26. The more candidates that do file, the more likely that this will go into overtime. We’ll know the answer to the first part of that soon enough. There are many candidates running for office this year. Some of them have a better rationale for running than others, but thankfully for them that’s not a requirement. A flurry of late filings to run for city office Wednesday filled out an election ballot that left only two Houston officials unopposed for re-election in November. The city’s second-highest elected official, Controller Ronald Green, will run unopposed for a second two-year term as the city’s chief financial officer. Two-term District E Councilman Mike Sullivan also is unopposed. Mayor Annise Parker has five challengers, but their combined campaign bank accounts total less than $5,000, compared with the $2.3 million Parker reported as of June 30. You can see the full lineup here. There are a few oddities. The story list an Avery Ayers for District B and a Terence Jewett for District D, but the City Secretary does not. Similarly, the Chron only has Brad Batteau challenging CM Melissa Noriega in At Large #3, but the City Secretary has had Chris Carmona listed since early in the day yesterday. Also, there had been a candidate named Sergio Leal on the City Secretary’s page in At Large #4 before yesterday, but he has apparently dropped out. For that matter, I thought I had seen Jewett listed earlier, but at this point I couldn’t swear to it. Anyone know anything about these discrepancies? There are two additions to the Mayor’s race: Jack O’Connor, who had previously been in At Large #5, and Dave Wilson – yes, that Dave Wilson – who presumably didn’t feel that the rest of the field hated gay people enough. I have no idea what made O’Connor decide to switch races. From what I can see, politically speaking he’s an Anglo Fernando Herrera, without the firefighters’ endorsement. There’s an anti-Parker vote out there, but I don’t see how the entrance of O’Connor or Wilson expands it in any way. They’re all fighting for the same 30% ± ε that was always going to vote against the Mayor. Had someone from the other end of the political spectrum jumped in, that might have made things more interesting. Wait till 2013, I guess. Speaking of which, now that both Ben Hall and Paul Bettencourt are officially non-candidates, can we please declare a moratorium on quoting them in any election-related story until after this election is over? Thank you. Rhonda Skillern-Jones, a mother of five who is active in the advocacy group HISD Parent Visionaries, confirms that she has filed to run for the District II seat now held by Carol Mims Galloway. Galloway, who praised Skillern-Jones at a recent HISD board meeting, is expected to withdraw her application for re-election. And withdraw she did. I respect Carole Mims Galloway, but I do not like this kind of placeholding. Handing your seat off like that to someone who will not be subject to any kind of scrutiny is not democratic. The voters deserve a choice. Even having a crackpot candidate in opposition would be preferable. Another candidate discovered that he didn’t live in the district that he thought he lived in. The Houston school board manager today notified Arturo “Art” Huerta, who had filed last month to run against trustee and board president Paula Harris, that he may not run for that seat because he does not live in the boundaries of the redrawn district. The surprise came on the last day to file to run for the board. Like those of other governmental entities, the redistricting was done as a result of the new U.S. census data. Huerta said he will not seek election in District VIII, so he is out of the school board races for good this year. 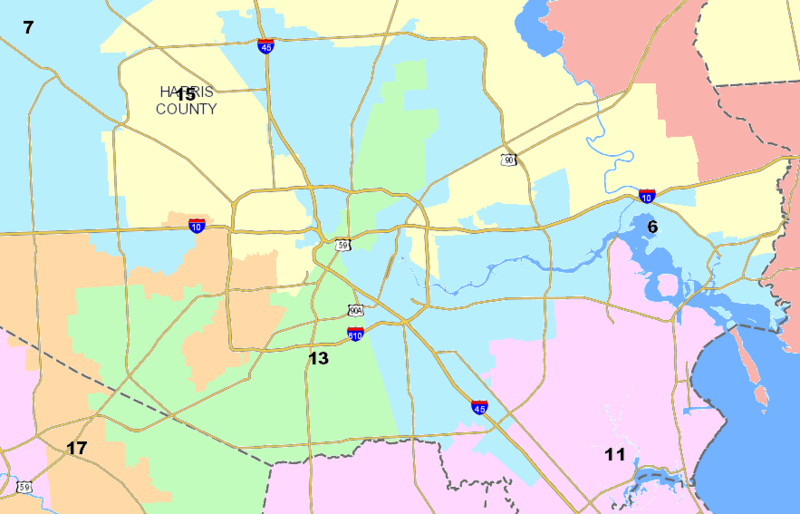 HISD spokesman Jason Spencer said the district’s legal consultant on school board boundaries, Gene Locke, confirmed that Huerta lives in District VIII — and the recent redistricting did not change that. The problem, Spencer said was the color-coded map that Harrison used. Huerta’s address looked like it was in District IV based on the color coding, which didn’t account for the precinct being divided into different school board districts. I have sympathy for Huerta, who says he spent a bunch of his own money on signs, but I wonder if he was at that same address four years ago. If so, perhaps he remembers who he voted for in the Trustee race that year. For what it’s worth, I tried to find Huerta’s voter registration information so I could see what the Tax Assessor’s office thinks his HISD precinct is, but I could not find a registration for him. I don’t know what to make of that. Texas Watchdog has more on this. In any event, Paula Harris will have an opponent, one who is familiar to her. • In District IV, retired HISD principal Davetta Daniels is challenging Paula Harris, the school board president. Harris defeated Daniels four years ago. As we reported earlier today, Arturo “Art” Huerta, who had filed to run for the seat, was notified this morning that he didn’t live in that district and couldn’t run, despite being told by an HISD official last month that he did live in District IV. • Juliet Stipeche, who represents District VIII, faces a challenge from Dorothy Olmos, who lost to Stipeche last year in a special election for the seat. • Ramiro Fonseca, a Houston Community College financial aid associate, is running against incumbent Manuel Rodriguez Jr. for the District III seat. Harris easily defeated Daniels in 2007 (page 19), garnering over 66% of the vote. Harris’ ethics issues may make this race closer, but I don’t really see Daniels, who also ran for At Large #5 in 2009 and received 8% of the vote, getting much traction. As for Olmos, she has run for numerous offices in recent years, and finished third (page 41) in the six-candidate special election for District VIII; as a multiple-time Republican candidate for office, I daresay she was bolstered by the makeup of that particular electorate. I don’t expect Stipeche will have much to worry about this time around. Fonseca, who has racked up a couple of nice endorsements since his entry into the race, looks to be the most interesting challenger. Oh yeah, there’s also the HCC Trustee races. I have no idea who’s running for what beyond what I’ve said before, I will only list endorsements on my 2011 Election page if I can find a link to them. If an endorsing organization can’t or won’t list their supported candidates on a web page, I don’t see any reason to bother with them. I am listing the Houston Professional Fire Fighters’ endorsements because they were listed in this Houston Politics post, and that does count even if it is a technicality. The other endorsements mentioned in that post have no such luck. Whether you’re an endorsing organization or a candidate, if you want me to list your endorsements, show me the link. UPDATE: I sent an email to story author Chris Moran to ask about Carmona in At Large 3, and was informed that his exclusion in the story was an error; there should be a correction in the online edition by now. CM Noriega does indeed have two opponents. The links are to my interviews with them. Cheryl Moodie is also on the ballot but has dropped out of the running because she didn’t meet residency requirements. For those of you in District 8 (see district map here), bear in mind that a straight-ticket vote does not include this race, and that there will almost certainly be a runoff in December. Robert Centeno, a former teacher in the Houston Independent School District. [Judith] Cruz, a stay-at-home mom who previously was the special education department chairwoman at HISD’s Liberty High School for immigrant students and an English-as-a-second-language teacher at Lee High School. Cheryl Moodie, a former general manager at Ritz-Carlton hotels who now consults in the fields of hospitality and international medical education. Dorothy Olmos, a former candidate for state representative and Harris County commissioner who runs a small business focused on rental renovations and works part-time for an industrial supply company. Peter Schwethelm, the founder of a college placement service for high school athletes and a former geography and world history teacher at Yates High School and a math teacher at Milby High School. Juliet Stipeche, an attorney at her own law firm who got her start at District VIII’s High School for Law Enforcement and Criminal Justice, where she graduated as the valedictorian. Stipeche ran in the Democratic primary for Civil District Court #281, losing to Donna Roth. Olmos ran in the Republican primary for County Commissioner in Precinct 2, losing to Jack Morman. She has also run unsuccessfully three times for HD143, in the special election in 2005, in which she got 6% of the vote, then in 2006 and 2008 against Democratic Rep. Ana Hernandez, getting about 26% each time. Far as I know, none of the other candidates has run for office before. As the story notes, all but Moodie and Centeno appeared at the candidate screening in August when the Board was still thinking about appointing someone. You can be approximately 100% certain this race will result in a runoff, so be sure to pay attention if you live in District 8, because in the end not a whole lot of votes will pick the winner. I’ll be doing interviews with at least some of these candidates, so I hope that will help.